The New Balance® Pressure Relief Insole with Metatarsal Pad reduces friction and distributes pressure for blister-free wear! 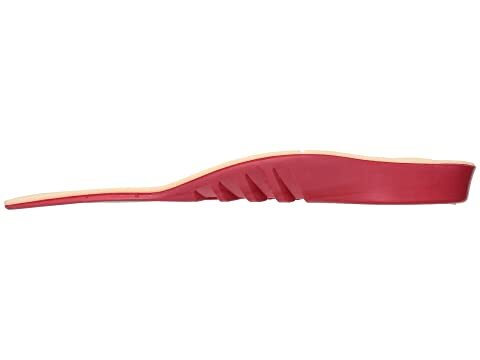 Plastazote® top layer uses body heat to mold the base of the foot. Air flow channels in the arch move warm air out and draw cooler air in. The extra deep heel cup cushions foot naturally. 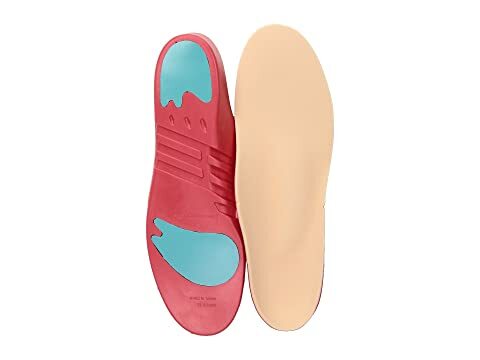 Contoured shape of the Metatarsal Arch Rise pad re-distributes weight and pressure to provide some relief for those suffering from Plantar Fasciitis, Morton's Neuroma, and Metatarsalgia. Recommended for diabetics and arthritis sufferers.